Processing of Hue-Beings continues until completion of all aspects has been accomplished, prior to Ascension instructions. Blue ribbons of Light wrap the bulk of Gaia at this time. This energetic construct allows full energetic alignment and upgrade for Hue-manity. Florescent manifestations begin for many, and begin anew for many others. Porcelain structures are transcended as Gaia ascends. Cosmic priorities have been established for the current moment. Although moment-to-moment shifts may occur, the Cosmic priorities remain in front. All of Gaia awaits Hue-manity and hu-manity up-steps in consciousness, which nears completion. Severance packages for non-aligneds have been presented and accepted. The Snowball is ready to roll. Strategies of accords are but embellishments to the original. 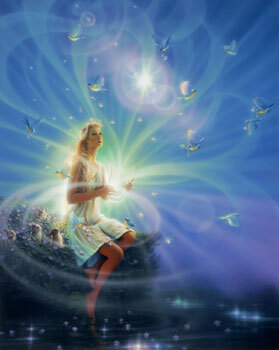 Establishments of Light with Divine Feminine Gaia-Centric energies are in process of manifesting on planetary scale. So-named “Centers of Light” which have been operating on “hidden” or “veiled” sense are unveiling and becoming visible on all dimensions, for all to see. Higher Eyes have awakened in sufficient hu-beings to support such “Centers of Light”, energetically. Planetary awareness currently delivers impactful messages to all shadow support mechanisms, which dissolve rapidly on all dimensions, for all to see.